Today's card is sponged watercolouring. Not sure if that's a good name for it, but it's something that I have done a few times before and it works beautifully. I just sponged distress inks onto watercolour paper to create my background grass and sky. Then I sprayed it with water until the inks started to flow. Once dry, I used the Watercolour Spritz technique to add the flowers (ink stamp with markers, spritz with a little water and then stamp onto dry watercolour paper). I love my spring garden with a mix of coloured tulips! :) I used a water brush and some Pear Pizzazz ink to add the strokes of grass at the bottom, and added a soft gray stamped sentiment. I like the subtle colour of the sentiment as it doesn't take away from the beautiful blue sky. I'm again sharing a couple of cards I made while on the Design Team for the Dirty Dozen at Splitcoaststampers. 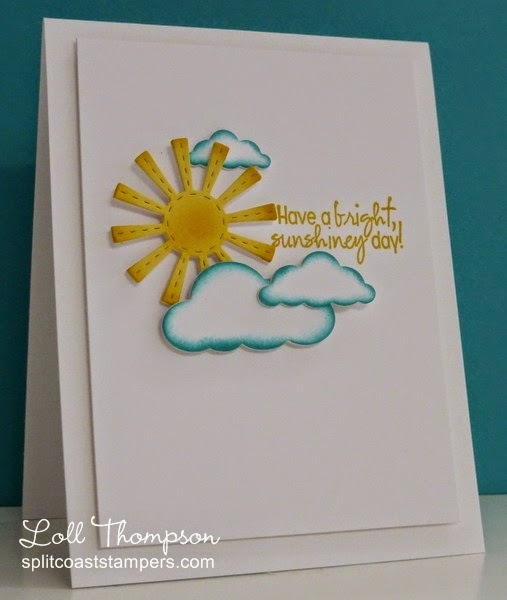 These cards have not been posted on my blog before, so thought I'd share a few more that use sponging. Both cards have sponging around the outside edges of die-cuts to add interest and dimension. Love how the colors meld with this technique! A real beauty, Loll! The Pocket Silhouettes is one of my all time favorite stamp sets and I LOVE what you did with it here. I have been enjoying the Arches watercolor paper. It doesn't seem to buckle as bad. I'm definitely going to try this sponging technique. It was fun seeing the 2 DD cards again. Love the card.........paper is very expensive! Yikes! Makes a beautiful card though, for sure. I love your bright and happy spring garden card! 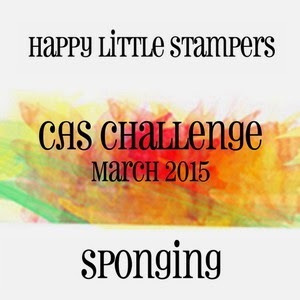 The sponged background for your lovely flower garden is perfect - great blend of colours! 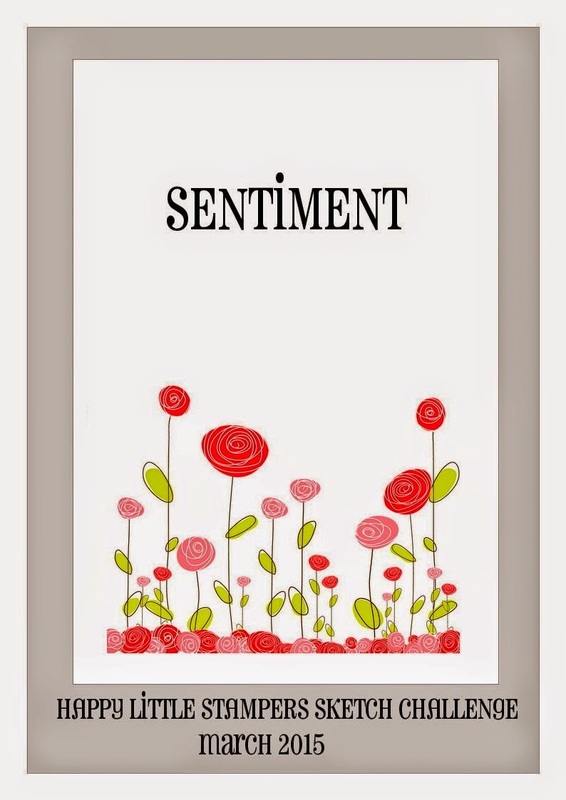 Love the cheery flowers and the muted sentiment. And it's nice to see your two Dirty Dozen cards again - both are great examples of sponging around die cuts. Amazing cards Loll! I especially like the DD cards! Thanks for sharing! 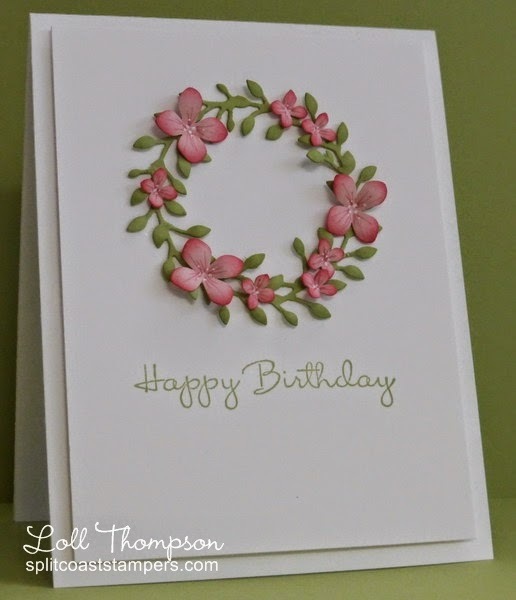 I love how you sponged the background on your first card, and the blooms are so sweet! Thanks for sharing the cards you created from Dirty Dozen...both are really gorgeous!!! Your lpretty garden, sunny sky and blossomed wreath: all capture the beauty of Spring in the most lovely ways. Gorgeous! !